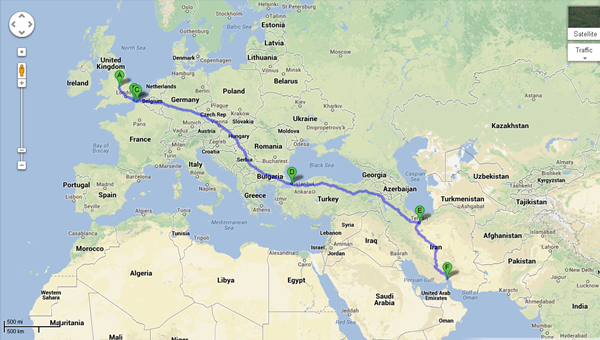 How Do You Choose a Route to Cycle Around the World? I should state now that I have not painstakingly planned my route in detail, my “plan” if you can call it that, is to select my route through each country as I approach it based on any places of interest I want to visit and recommendations I get from the people that I meet along the way. I want the journey to be as spontaneous as it can be, choosing a route based on what I can see on Google maps and sticking to it rigidly will not allow me that freedom. 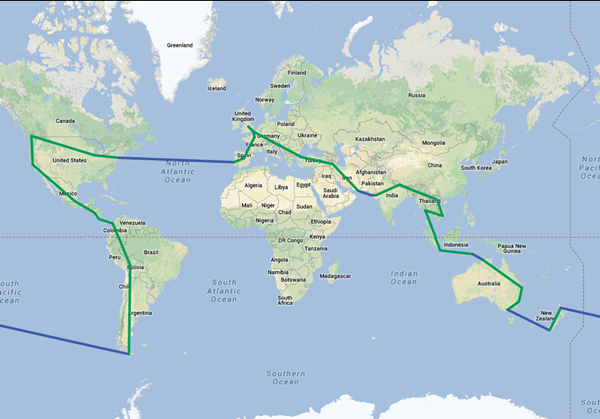 What I have done is plot a line around the world based on the countries I want to visit. The maps below represent the rough direction I will be travelling in and periodically I will update them with the actual route I have taken. 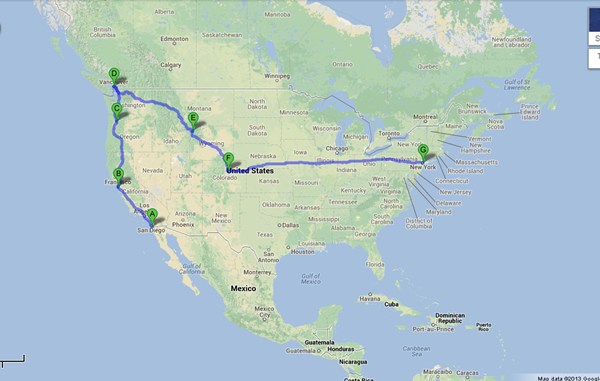 The total distance of maps below is 33262 miles. I will be starting from my home in Leicester cycling south to Dover where I will get a ferry across to Calais, France from there I will make my way across Europe into Turkey and eventually Iran. This section has consumed most of my attention mainly because of the potential problems I may encounter. Namely the unrest in Pakistan and Afghanistan which I will need to either pass over through Turkmenistan, Uzbekistan and Tajikistan into China or under/ over from Iran to India. I want to stay south through Iran where it should stay warmer for longer and I will head to the port at Bandar-e-Abbas where I hope to take a boat to India. I haven’t managed to find a boat online but feel certain this will be easier once in the port. The back up plan is to get a boat to Dubai and a flight to Gujarat, India. I will arrive into India with the simple plan to ride from one side to the other, there is however a distinct possibility that I will want to veer off up into Nepal and Bhutan, I will play it by ear nearer the time. 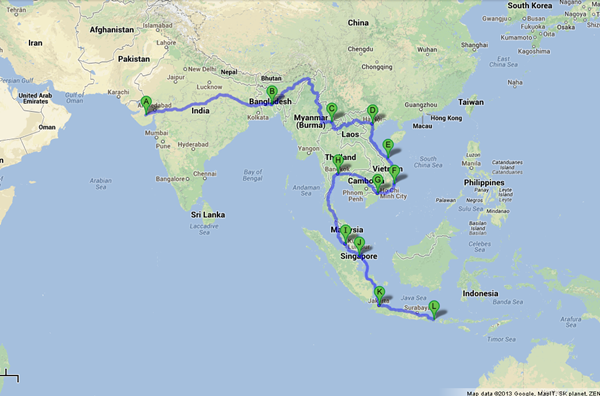 From India I will pass through Bangladesh and Myanmar into Laos and Vietnam. I would like to cycle the length of Vietnam from Hanoi to Ho Chi Minh City in the south along the coast, back up through Cambodia to Bangkok, Thailand. From Bangkok I will cycle south through Malaysia, to Singapore at which point it starts to get a little sketchy, I would like to cycle as far along Indonesia as I can and from the furthest point take a boat or plane Australia. Once again it will be a boat or perhaps more likely a plane to New Zealand. 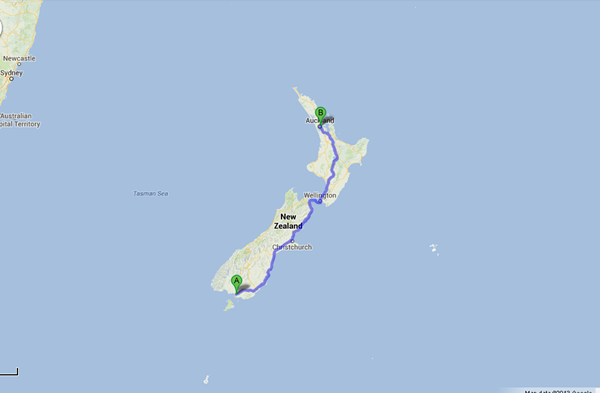 Depending on where the boats and planes arrive and, probably more importantly, where the boats or planes leave New Zealand for South America, I will cycle from one end to the other, ending somewhere near my next point of transit. Now that is a P.L.A.N… it might look something like this, it might not. 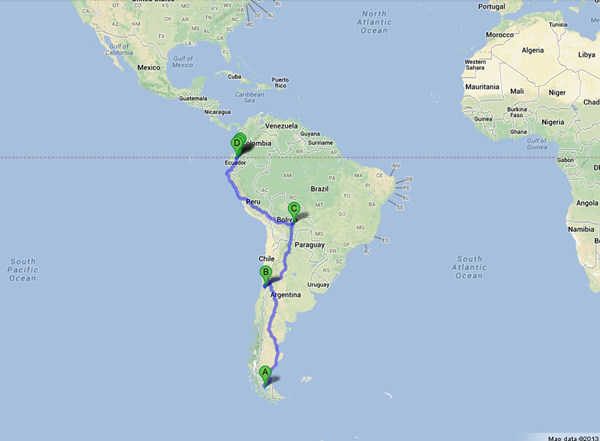 The transit from New Zealand to Argentina, South America will be the longest of the trip, they are literally on opposite sides of the planet. On arrival in Argentina I will also transit down to “the end of the world” Ushuaia, the most southern tip of South America and regarded as the southernmost City in the world. 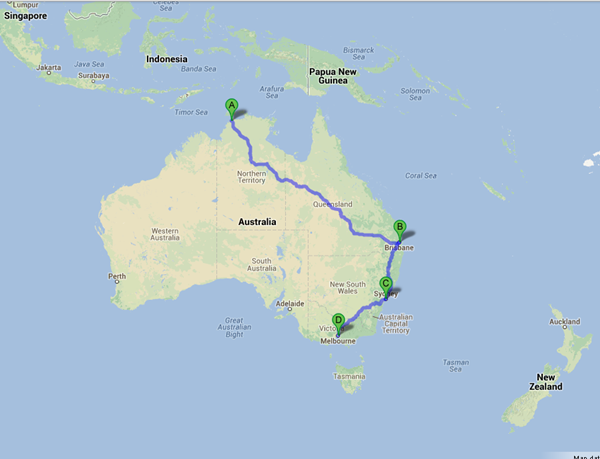 I will then be mostly cycling north for years, literally. I have split the journey because I had difficulty getting Google maps to display an uninterrupted journey from Ushuaia to Vancouver. 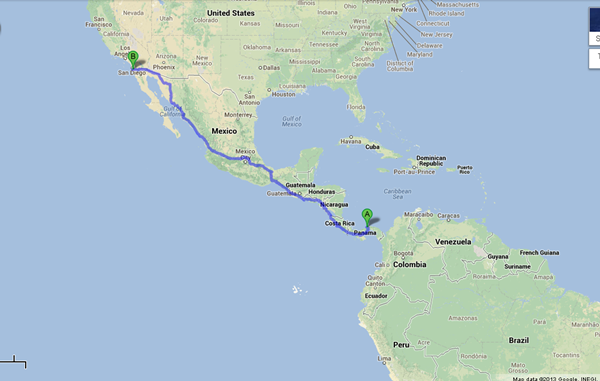 This first section covers Argentina, Chile, Bolivia, Peru and Ecuador. 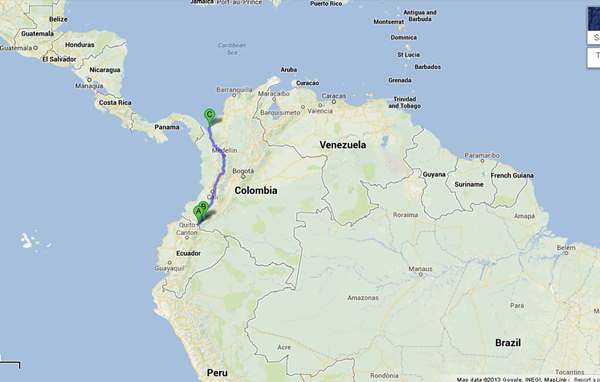 This section shows the route through Columbia, I’m certain there is a road between Ecuador and Columbia but was unable to make the ends meet. It is also impassable by road between Columbia and Panama due the jungle I believe, I will take a boat from Necocli Colombia to Colon, Panama. I will undoubtedly rely on local knowledge for the most feasible transit route for this section and of course assess the risks of entering Columbia at all nearer the time. I plan to hug the Pacific coast once through panama and into Costa Rica, through Nicaragua, Honduras, El Salvador, Guatemala and into Mexico. The jury is still out on a visit to Mexico City, a part of me really wants to see it and another part is concerned about cycling through such a vast cityscape. This is a small example of the weird ways unconscious perceptions shape my attitude towards risk in an inconsistent and completely illogical way. Crossing the boarder into North America I will cycle up the west coast to Vancouver, Canada, then from the west coast to the east coast via, Yellowstone National Park, Denver, Colorado and finally onto New York. Leaving just a little hop across the pond to Lisbon, Portugal and on up through Madrid, Spain which is the second of the minimum two antipodal points (points on opposite sides of the world) required by the Guinness Book of Records for the journey to qualify as a true circumnavigation, the first antipodal point was in Wellington, New Zealand. I’m clearly not trying to break any records but having cycled all that way I still want the journey to qualify as a true circumnavigation. 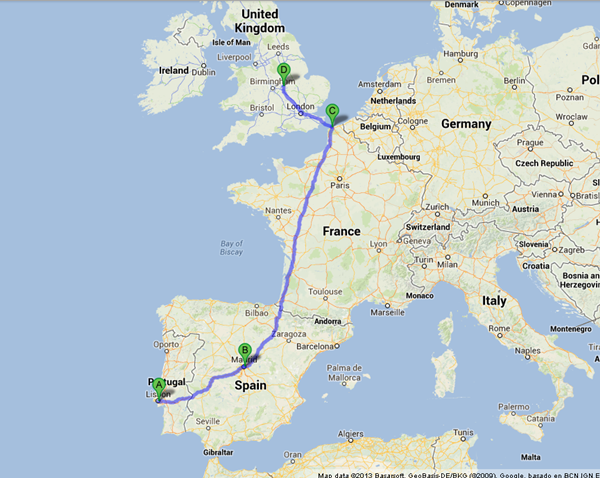 From Madrid it will be one last push across France and up through England to Leicester for a well deserved cup of tea. Feel free to contact me if you have any questions about the route or wish to offer advice.